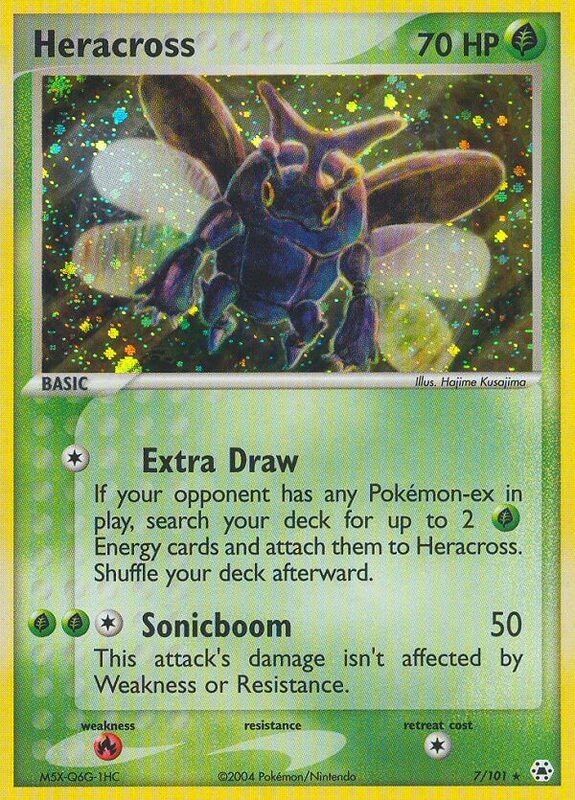 Draw a card for each of your [G] Pokémon in play. 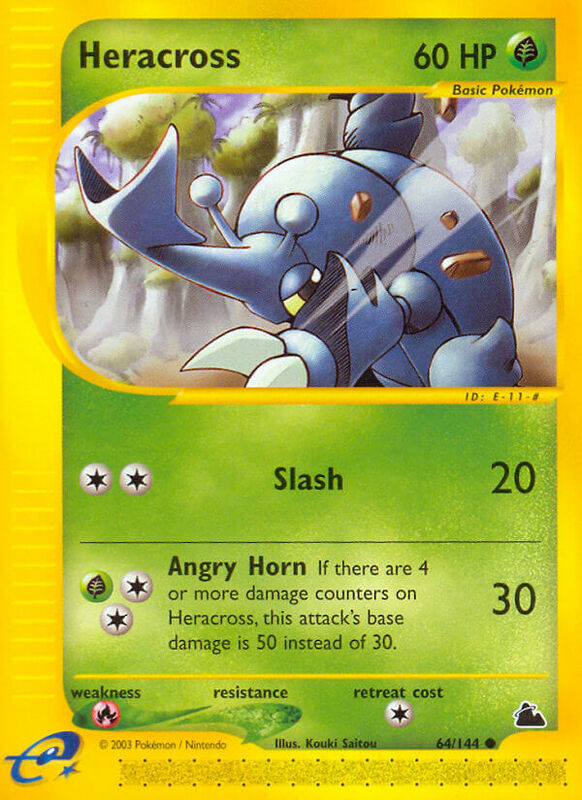 This powerful Pokémon thrusts its prized horn under the enemies’ bellies, then lifts and throws them. 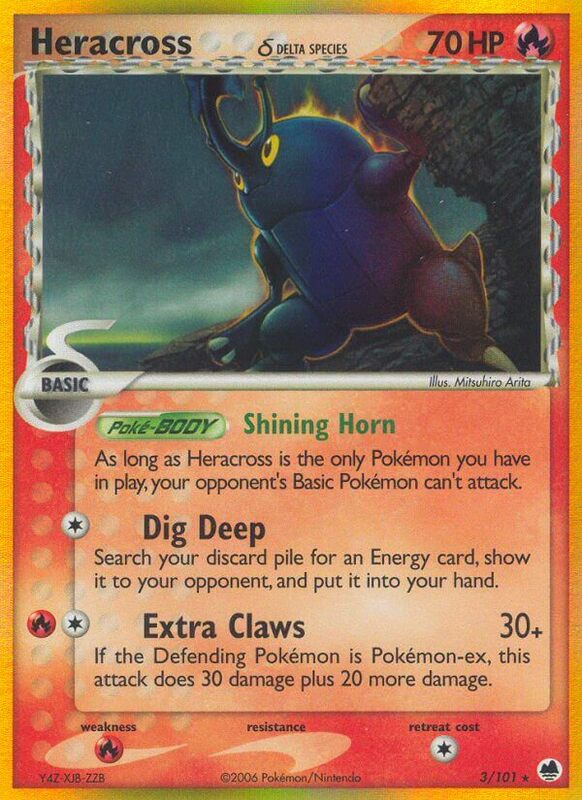 As long as Heracross is the only Pokémon you have in play, your opponent’s Basic Pokémon can’t attack. 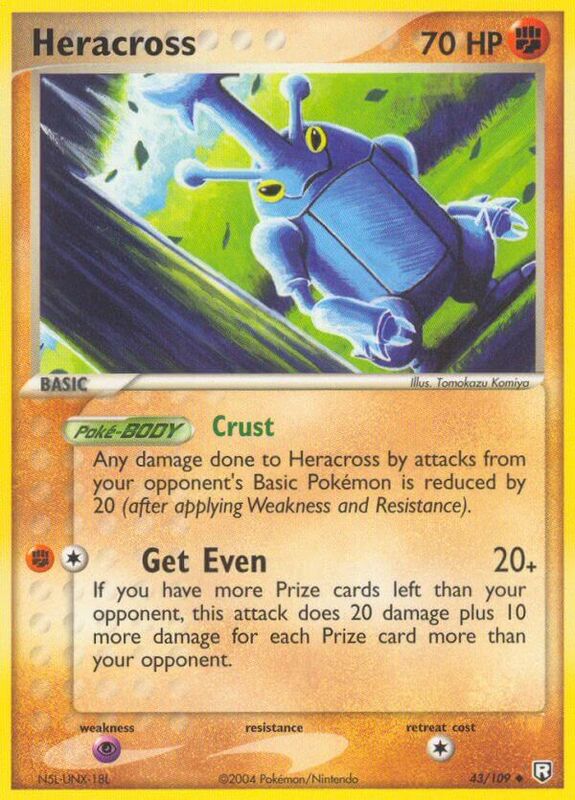 Any damage done to Heracross by attacks from your opponent’s Basic Pokémon is reduced by 20 (after applying Weakness and Resistance). 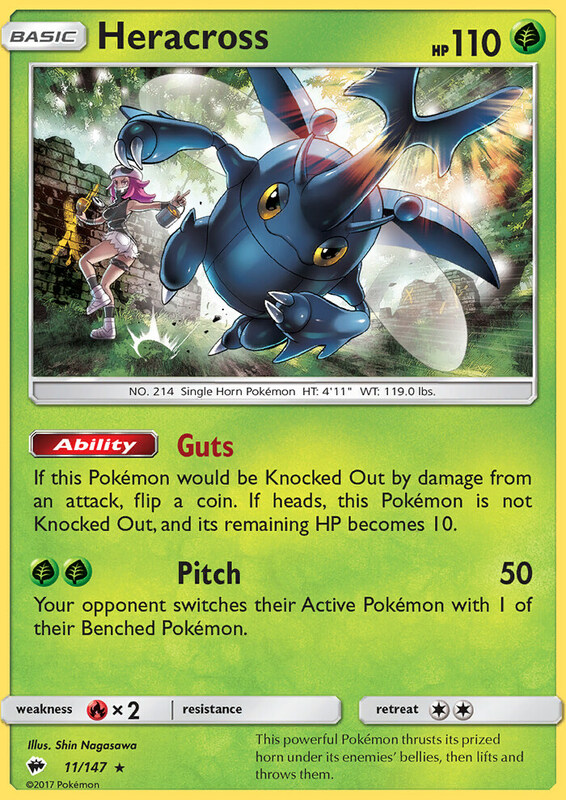 If you have more Prize cards left than your opponent, this attack does 20 damage plus 10 more damage for each Prize card more than your opponent. 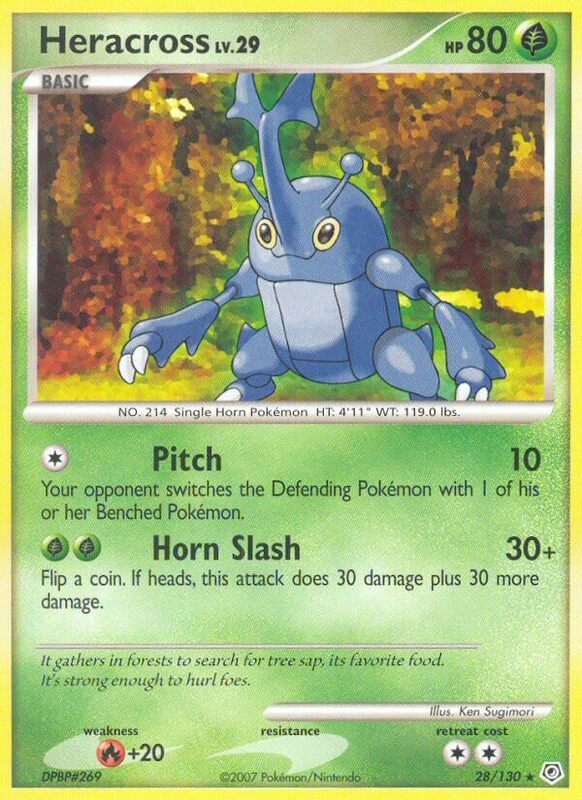 If there are 4 or more damage counters on Heracross, this attack’s base damage is 50 instead of 30. Flip a coin. 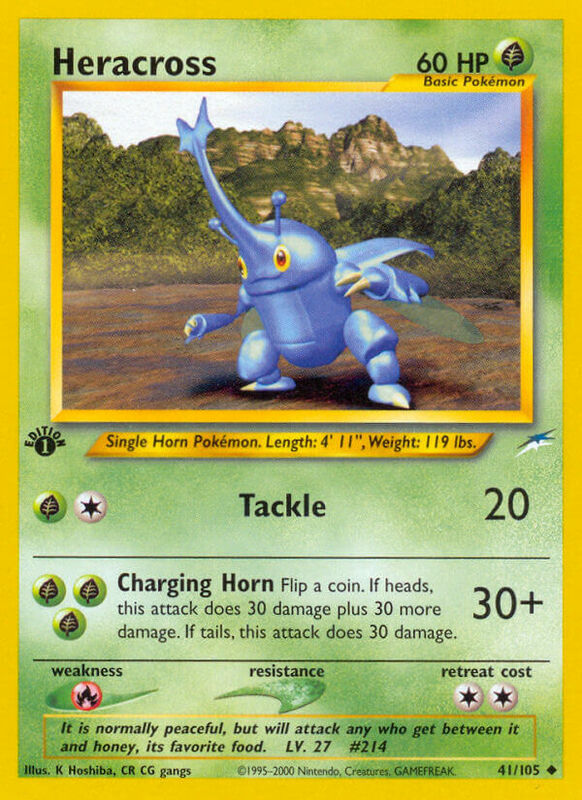 If heads, this attack does 30 damage plus 30 more damage. If tails, this attack does 30 damage. It is normally peaceful, but will attack any who get between it and honey, its favorite food. 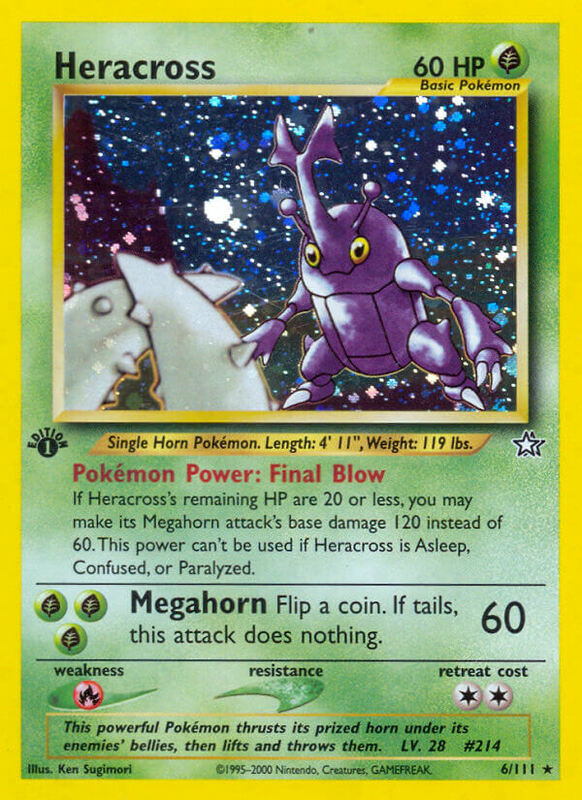 If Heracross’s remaining HP are 20 or less, you may make its Megahorn attack’s base damage 120 instead of 60. 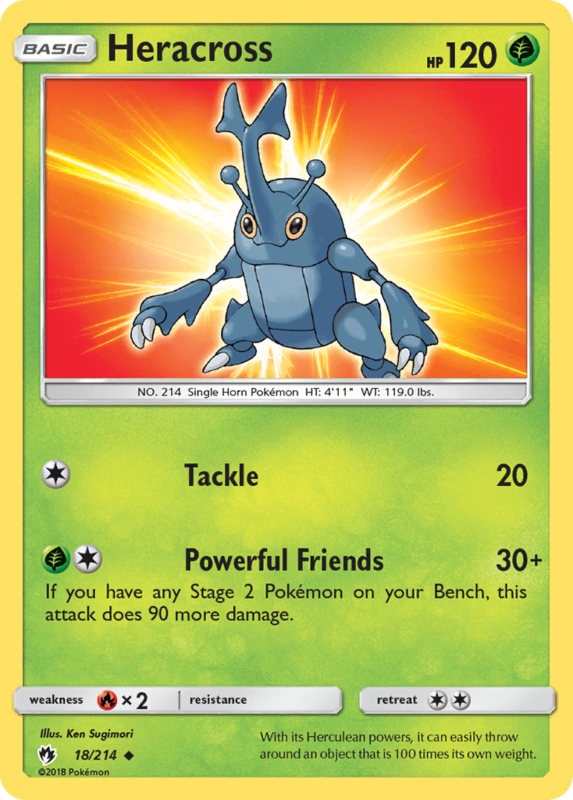 This power can’t be used if Heracross is Asleep, Confused, or Paralyzed.